Let's see how you could draw a cartoon bathtub! 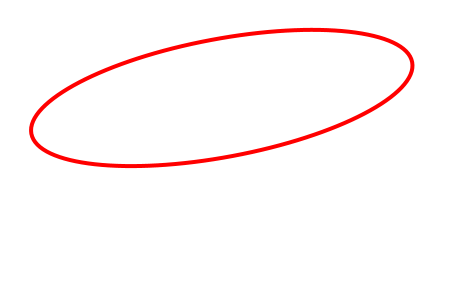 Drawing this object with a 3D perspective can be quite a challenge since no straight lines are visible. A real bathtub is usually designed with nice curves and a very polished and clean look. In this tutorial, I will show you how to draw a nice bathtub using only three basic shapes and a little imagination and creativity. First, draw an oval shape to create the opening on top of the bathtub. 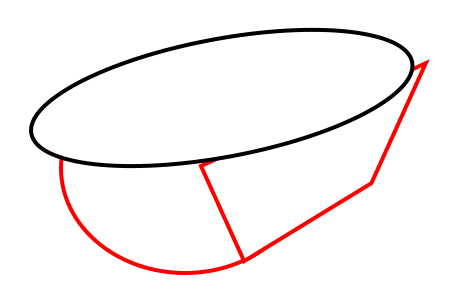 Then, add a circle in front of the object to illustrate the body of the bathtub. Continue this exercise by drawing a rectangle on the side. Make sure that this rectangle is perfectly aligned with the circle. It should also be narrower on the back to create the illusion of a perspective effect in 3D. Refine the outline of your bathtub and pay attention to: The opening of the bathtub should be wider on the left since it is closer. Also, the body of the object on the bottom should be narrower in the back (the right part). Finally, notice the little curve on each side of the bathtub near the junction of the opening and the body. OK! 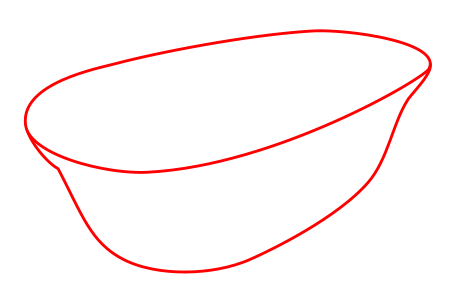 Now let's draw another oval shape inside the first one to add some depth and thickness to your object (the red line). You can also add water inside the bathtub (the blue line). Finally, add some details like a couple of lines (in blue) and some shadows (in red) to make your illustration more complex and enjoyable to look at. Apply some colors and you are done! A nice a clean bathtub done with only three basic shapes and some simple shadows. You can always add some legs to your creation for a retro looks! Good luck and have fun with your artwork!